High5 Games is a leading content creator (in their own words) which works in regulated markets. There offer more than 300 games are work in more than 50 countries in 6 continents. They have a strong land-based presence and are known for their unique style in terms of graphics and gameplay. Founded in 1995, they have produced monumental slots such as Da Vinci Diamonds, Golden Goddess, Cats and Secrets (Pixies) of the Forest. Whilst you may associate the aforementioned slots with IGT, High5 Games has created many games for IGT and Bally Technologies for land based use which have subsequently been released online. High 5 Games has produced more than 100 titles for various other land based operators! Their slots look like land based games which I quite like and they have distinctive sounds and graphics (a little like Novomatic). 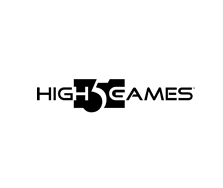 Expect to hear a lot more from High5 Games in the future as they have a huge portfolio of slots they will be launching for online players. There are few online casinos that offer their available slot games but bet365 Games has their full online range.